The blue model in 64GB is actually more expensive on Amazon than on the Google Store, but the "Cloud White" version of the N6 has some different deals. 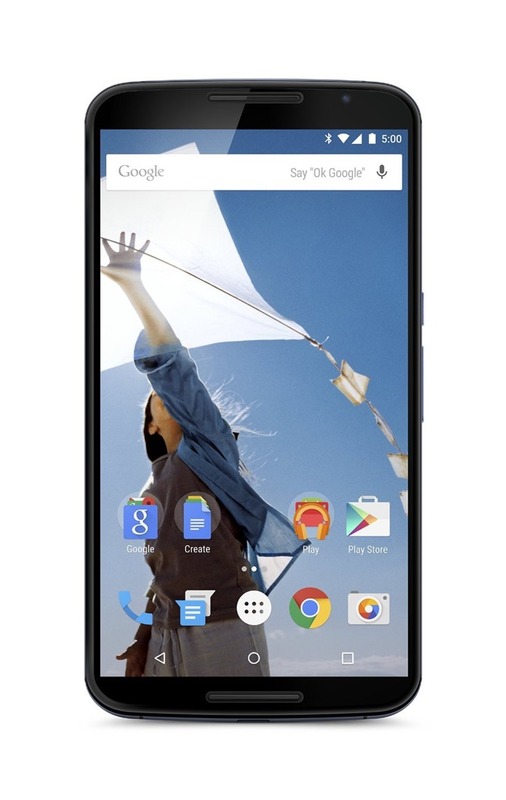 Amazon is selling the white 32GB phone directly, complete with Prime shipping, for $597.94. That's still more than $50 off of the retail price. The white 64GB version is $671.17, a bit less than $29 off of the retail price, also sold directly from Amazon with Prime shipping. 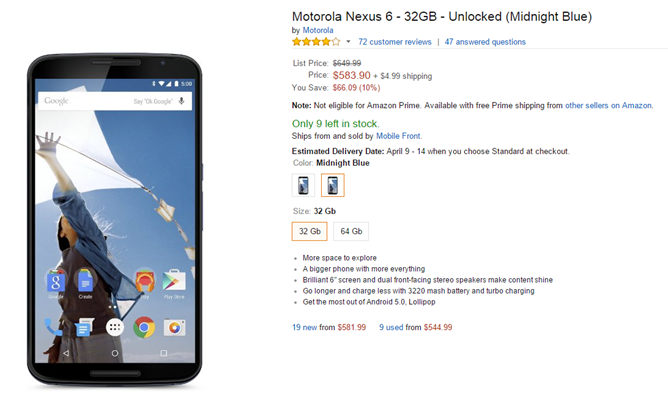 Amazon also sells the AT&T version of the Nexus 6, but it's actually more expensive than the unlocked model when bought without a contract. Follow the source link below to get to the primary Amazon listing for the 32GB and 64GB versions of the Nexus 6 in blue and white. Note: the discounted prices seem to be fluctuating, even as I write this story. Don't be surprised if they've changed when you get to the listing.